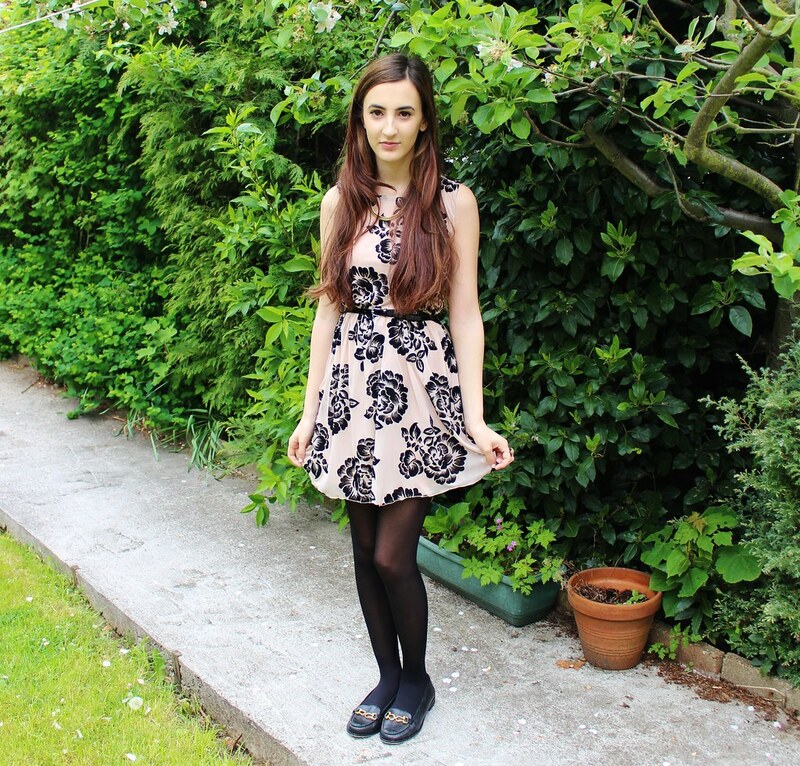 I love wearing an array of different rings on a day to day basis with my outfits. 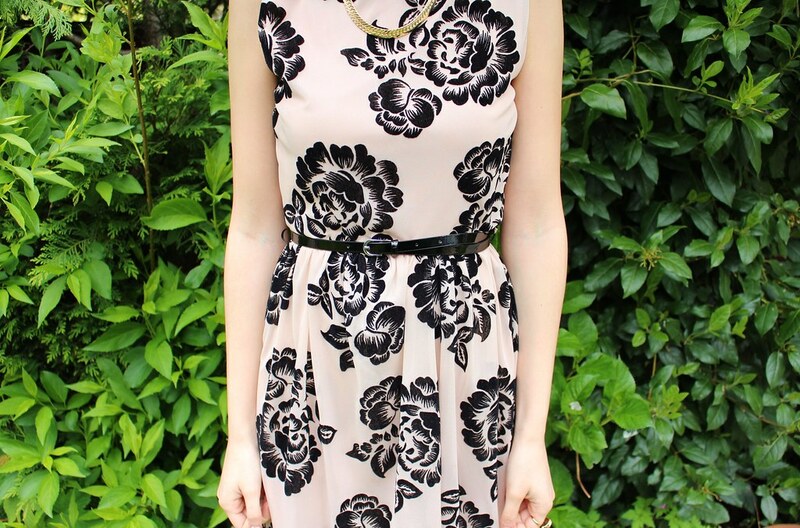 To me, it completes the overall outfit as a nice finishing touch. For someone that has very small fingers I find it extremely difficult to find rings that actually fit me in high-street stores. Even the small sizes fall off my fingers, which can be really annoying. Usually I'll buy XS or adjustable sized rings and these suit me just fine. I'm not really one to wear real gold or silver jewellery as I like to co-ordinate my rings with my outfits from day to day. Through the years I've learnt which shops tend to cater to skinny fingered people like me and have a nice growing collection of rings which I love. These rings are my newest additions to my ring collection. 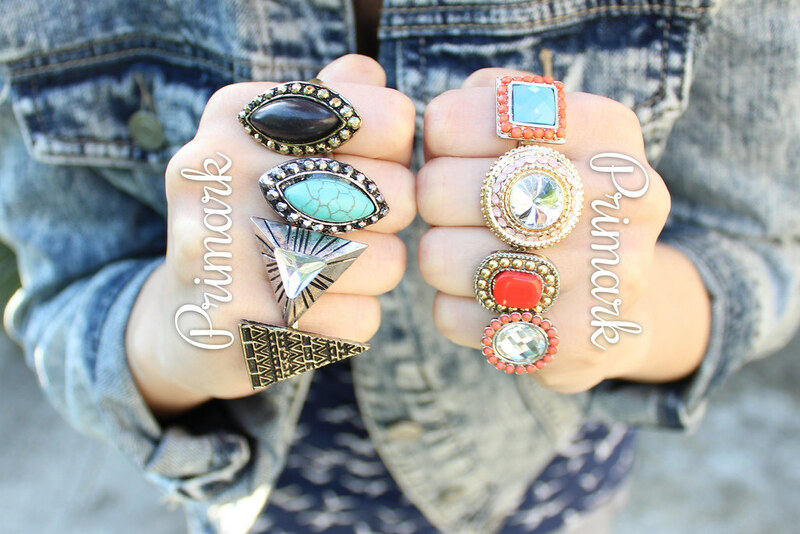 Is it me or has Primark really upped their game when it comes to rings and accessories in general? These rings came in sets of four as shown above for about £2.50 which is such a bargain! These rings are adjustable so I've squeezed them to fit my fingers nice and snuggly. The colourful set on the right are my new favourites, they look expensive and are perfect for summer. I just LOVE the clashing colours of these. As soon as I saw these they where thrown in my basket. I love this turquoise stone ring from Primark, I've been on the hunt for Turquoise stone rings for years now but again, could not find any that fit me. 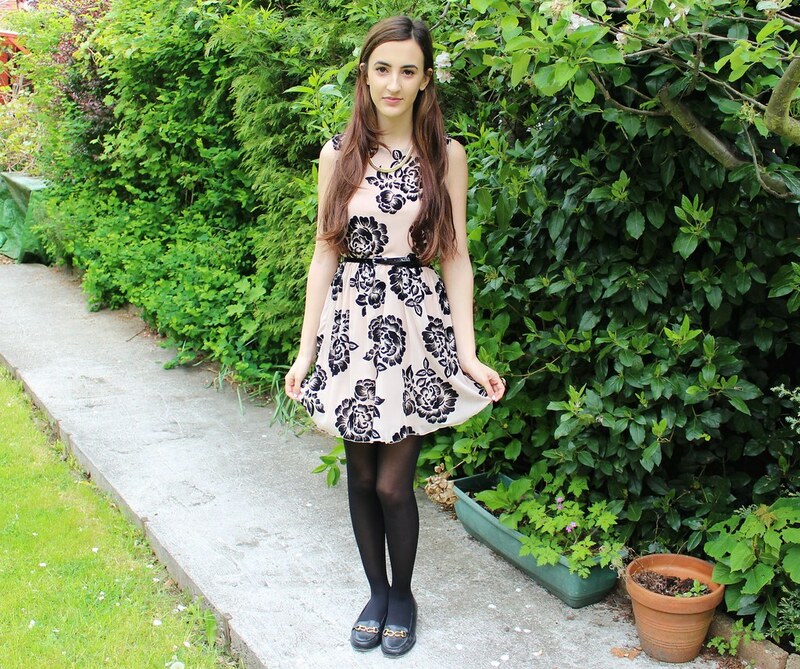 Thank god for Primark and their cheap alternatives! 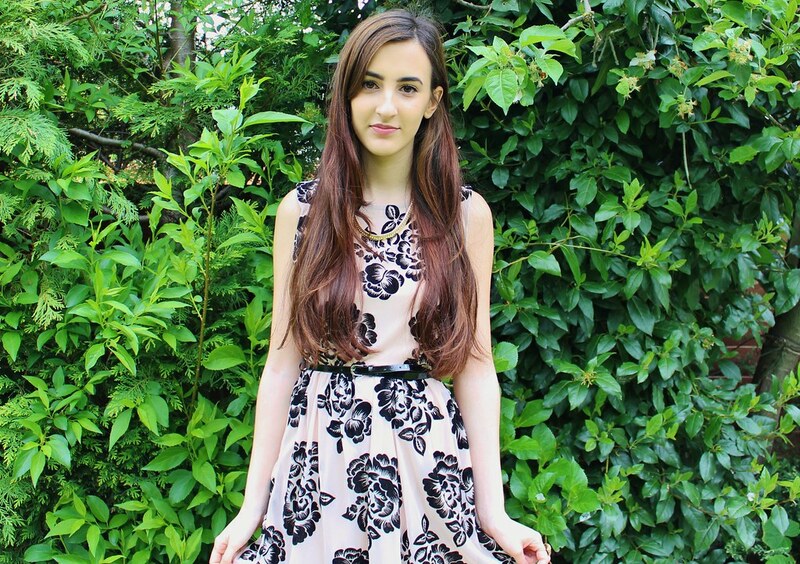 Another of my favourites which I wear so much is the Regal Rose Burgundy ring which I also wanted for ages but finally picked up at the Clothes Show Live this year for half the price. This ring got a lot of wear from me during the winter as I tend to wear a lot of Burgundy during those months. This is my second scrabble ring as I wore the other to death for years and it actually broke. I'm not sure where it's from but so many shops sell these now so similar ones should be easy to find. Mine has a little diamond on the corner which I love as I've not seen any others quite like this. 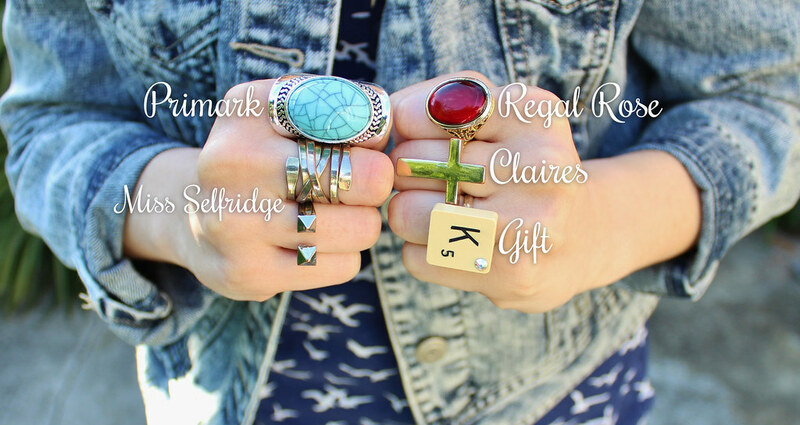 You can probably tell that most of the rings I pick up are from H&M (as they do XS), Miss Selfridge and Primark. It shows that you don't have to pay a lot for lovely rings. Most of these have lasted me years without horrible tarnishing or scratches. 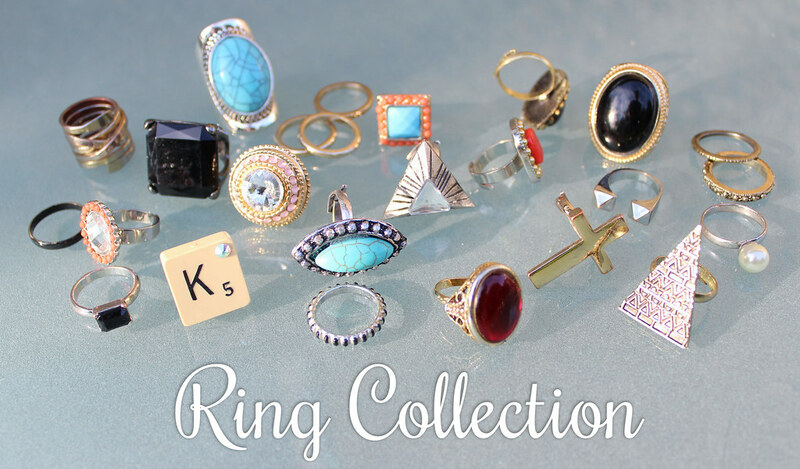 Stacking rings also look great teamed with big stone rings as shown above. I love having a different variety of rings to choose from so that I can layer and mix and match them every day as I don't really wear any other jewellery like necklaces/bracelets as much! 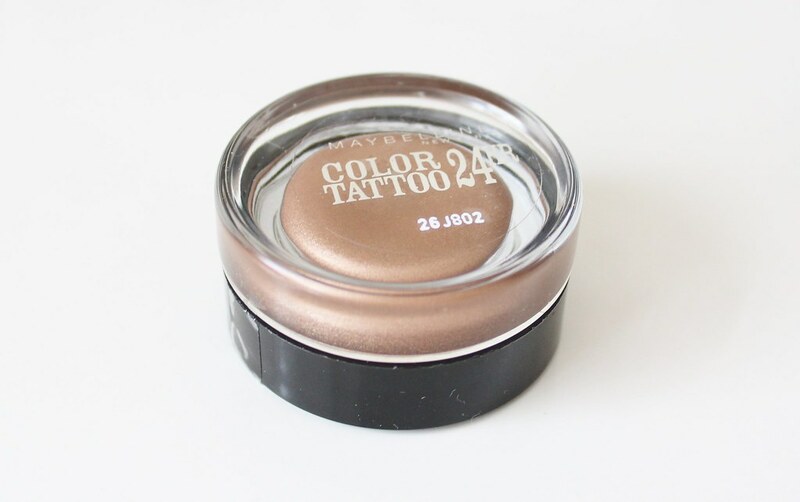 I've heard so much about these Maybelline Colour Tattoo 24hr Cream Eyeshadows a lot in the beauty blogging world and after seeing swatches I thought I would purchase one. The colour that stood out to me the most is, 'On and On Bronze' which as it says, is a shimmery bronze colour with gold undertones to it. 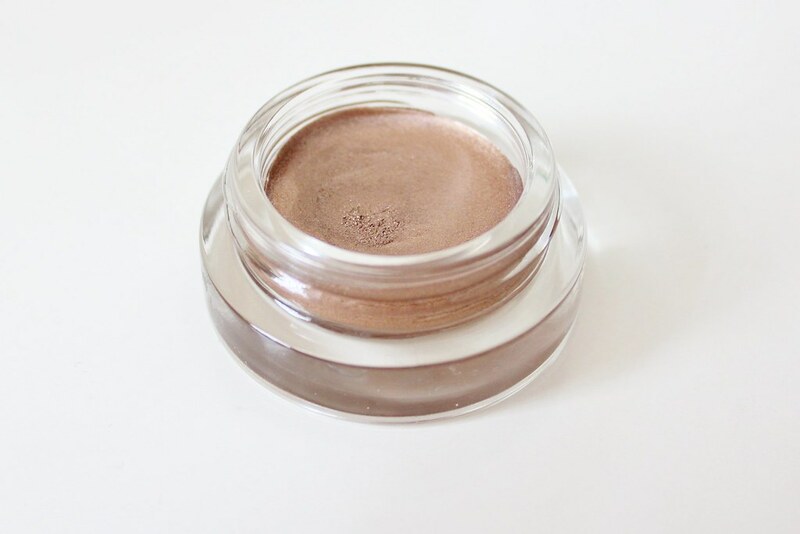 I loved the look of this one as it's a neutral colour but because of the shimmer it can jazz up your eye-makeup in seconds. 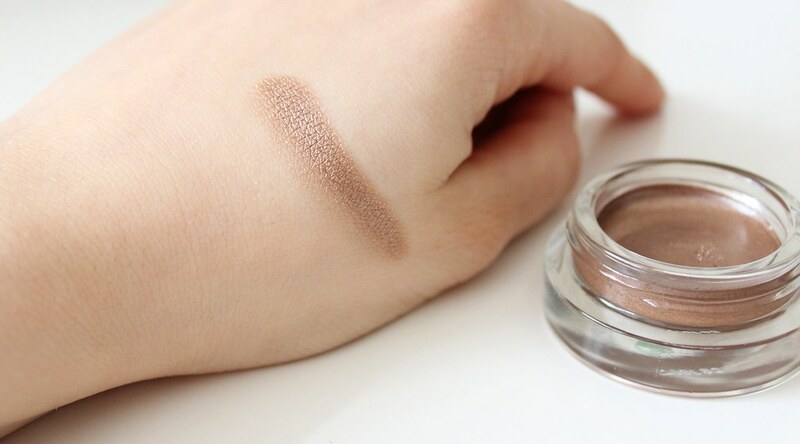 This creamy textured shadow is perfect for lazy days and mornings when time is of the essence, I literally just dipped my finger into the pot and applied it straight to my eyelids and was done in about a minute. I find this is the best way to pack on the colour as a brush sticks to the product without lifting a good majority of it up. My finger picks up the product, warming it up and it then glides onto my lids. I do just use a blending brush to feather out any harsh edges once I'm done layering the colour. 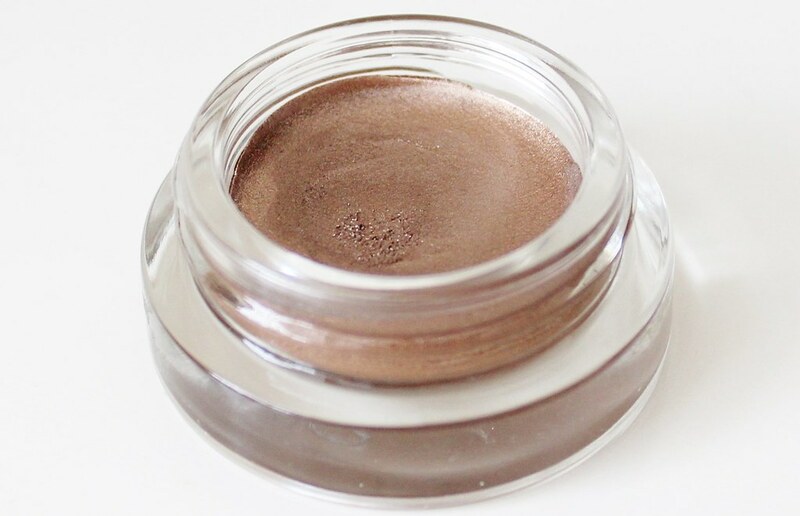 These cream eyeshadows are such good quality for a very reasonable price of, £4.99! A lot cheaper than the MAC Paint Pots which also do the same job. AND, they did NOT crease on my eyelids. Yes, that's right. I was so shocked as creams always tend to but nope, not with this beauty. It lasted all day, with no creases. I am impressed. 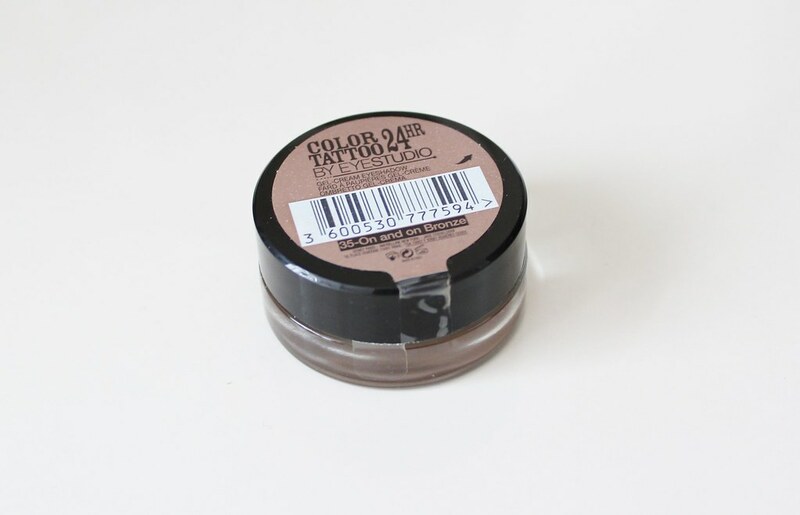 They can be used on their own like I have in the image above or as a base for powder eye-shadows to stick to. 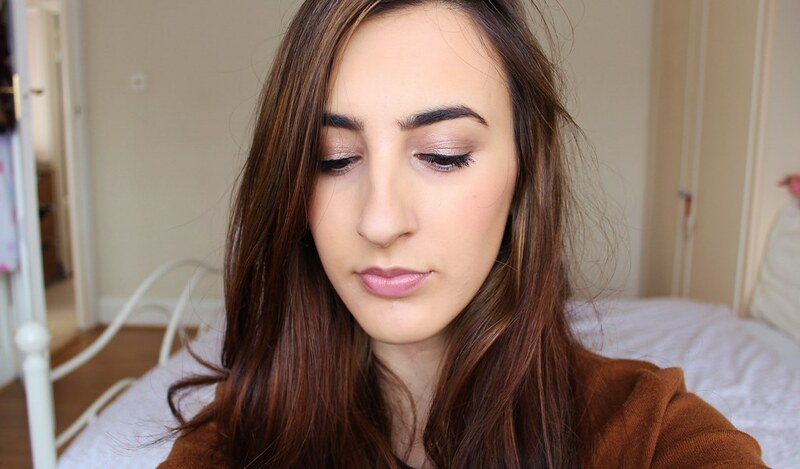 I haven't tried this out yet but I know this will help my eye-shadows to stick around for longer on nights out or special occasions where I need my eye make-up to last. 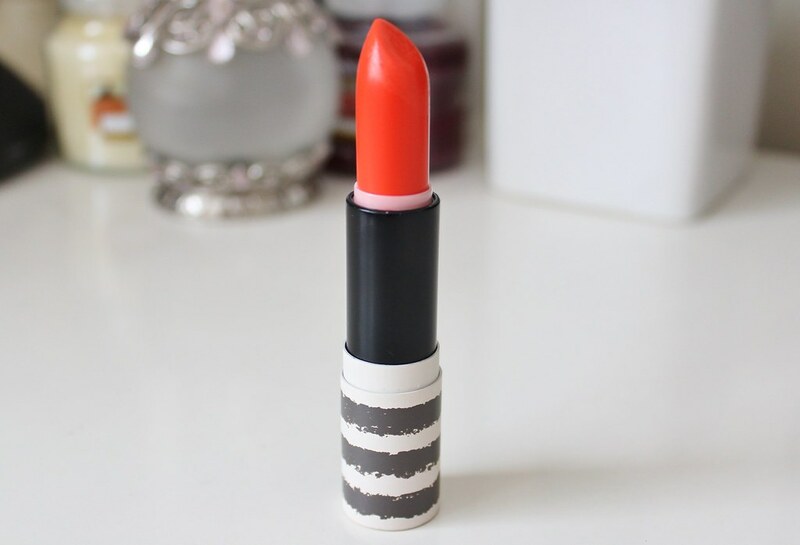 I've been lusting over an Orange lipstick for ages now but was not too sure whether they would suit me so opted for one that would be good quality but not too expensive, hence this Topshop purchase. I've heard so much about MAC's, 'Morange' lipstick but that is double the price and for something that I wasn't entirely sure about, I thought this lipstick would be a better alternative as it's pretty much an exact dupe for it. 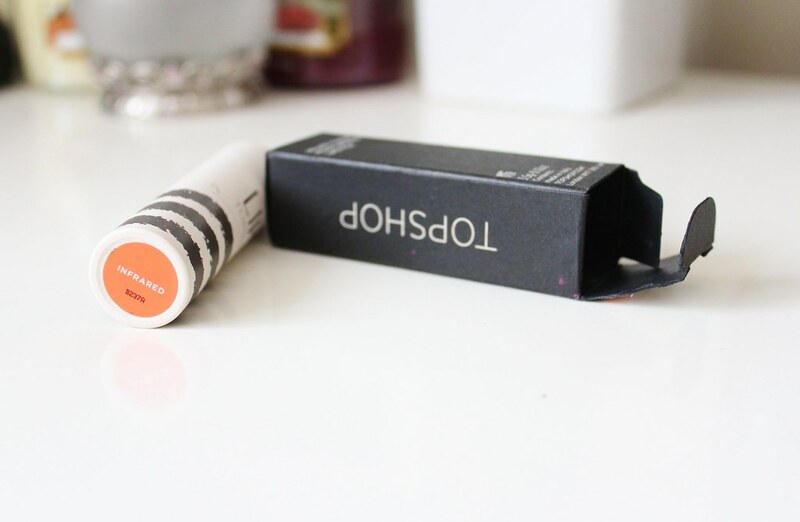 This is also my first Topshop lipstick and I've really been wanting to try one out as they seem to have good reviews. 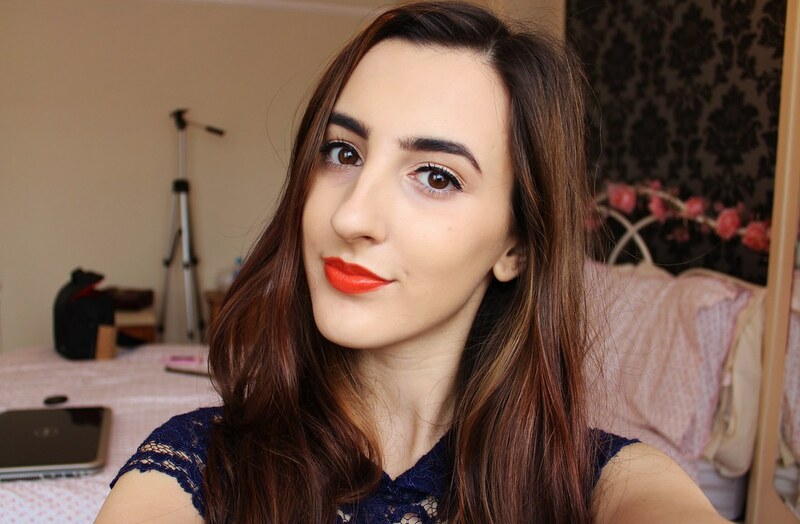 This lipstick is not on the Topshop website, although I always see it in store so they must be still stocking it. 'Infrared' is a bright orange with slight red tones to it. It seems like quite a scary colour to wear but actually I think it's really wearable even for day time. Probably even easier than a Red in my opinion. I thought this colour would be a perfect essential for my summer make-up kit as you can just throw this on and it gives your face that, bright, summery look. 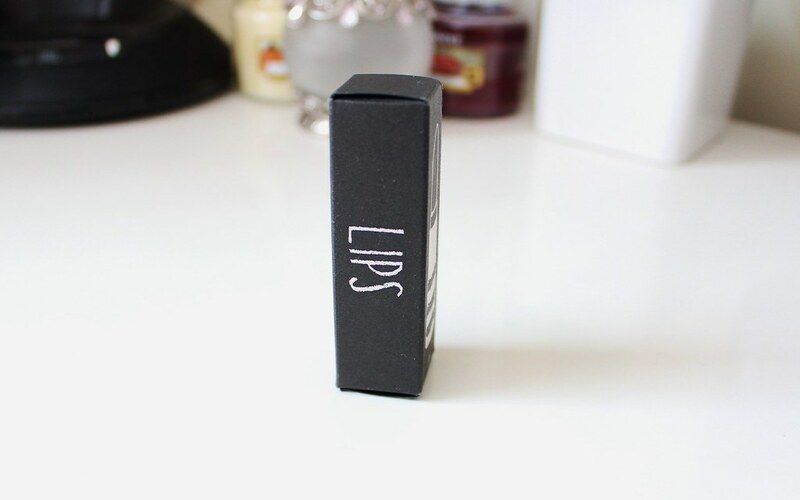 I love bright lipsticks any time of the day or season, so this lipstick will get so much love from me. It is a velvety, moisturising finish which I definitely agree on. I wore this all day and it did not dry my lips out at all or make them really flaky. The lasting power is good, but not fantastic. I think the MAC lipsticks are better in that respect, although I do think the staying power is good for a moderately priced lippy. The texture of the lipstick is super creamy, it glides on effortlessly and I applied straight from the bullet with no struggle. Overall I am really loving this lipstick at the moment. I think this lipstick would look great on tanned or darker toned skins, but it can pretty much suit anyone to be honest. This has made me want to buy even more Topshop lipsticks now, 'Ohh La La' is the next on my make-up shopping list agenda.